We save our clients from stress at a difficult time. We are named as executors in thousands of Wills thus preventing family conflicts. We ensure that your estate passes in the shortest possible time. We offer a fixed price probate service quotation on request. A death in the family is a time of sadness and stress. Handling the estate of a family member requires knowledge of legal, accounting and taxation principles. The duties of an Executor are extensive and they are personally liable for any errors, which is why over 70% of estates are distributed by solicitors. We offer a full Probate Service which is based not on the value of the estate, but on the time it will take us to distribute it, saving our clients hundreds if not thousands of pounds. We are happy to assist you with the Probate Application Forms, a necessary requirement. This service only costs a small amount of money and saves our clients costly legal fees and stress. FREE one hour consultations are available by appointment. After someone dies you may hear all kinds of legal terms you have never come across before. Probate may be one of these. ‘Probate’ is a term commonly used when talking about applying for the right to deal with a deceased person’s affairs. It’s sometimes called ‘administering the estate’. The term Probate is the process of officially proving the validity of a Will and the winding up of affairs. Regardless of whether there is a Will or not, someone has to deal with the estate and a legal document may need to be issued to authorise one or more people to do this. A person authorised in the Will to manage the estate is called the Executor. They will be issued a document by the Probate Registry known as a Grant of Representation (Probate). The Executor needs the Grant of Representation to be able to access the money and assets of the deceased person. 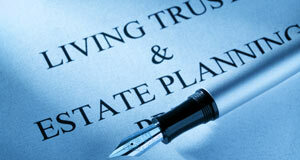 It is proof that the person named is entitled to manage the assets and liabilities of the estate. Some organisations will release funds and assets without a Grant of Representation, but with larger estates it is usually needed. You need a Grant to transfer or sell property held in the sole name of the deceased, but if it is in joint names a Grant may not be needed. The first people entitled to a Grant are the named executors in a Will. If there are no executors or they don’t want to apply, then the person named in the Will, who gets all of the deceased’s estate, is next in line. If there is no valid Will, the next of kin can make an application for Grant of Representation in this order of priority: spouse, daughter/son, parent, sibling, close relatives. You must be over 19 to apply. To obtain the Grant of Representation you need to fill in an application form and return it with a death certificate and original Will. You will then be interviewed in person to confirm the details in the application. After the interview the Grant will be prepared by the Probate Registry and sent to you by post or if a Grant can’t be given you will receive an explanation. We can arrange to administer your estate for Probate. Simply call us on 0800 0276832 to discuss your needs and receive a competitive fixed quote.